At one hospital, patients can see out-of-pocket cost analysts. A coverage change led to big out-of-network provider charges. (Bloomberg) — Gale Tickner doesn’t even know how much money she owes these days — it could be $100,000, it could be $200,000. With every surgery or unexpected complication, the medical bills for her cancer treatment keep piling up. Tickner has health insurance, but the numerous copayments for her hospital visits, procedures and drugs over the past year and a half have made her treatment a financial burden. “We’re just going to take it a day at a time to pay what we can, when we can,” she said. The rising cost of care is a source of growing alarm — and not just for patients. It will be a subject of debate at the annual meeting of the American Society of Clinical Oncology (ASCO) in Chicago this weekend, where doctors are examining new ways to package cancer treatment to make it more affordable. Cancer care has long been costly. There are signs it’s getting even more expensive for consumers, who are now required to shoulder a greater portion of medical bills in the form of insurance copays. ASCO has pointed to a National Institutes of Health study that estimates total treatment costs in the U.S. will rise 40 percent to $175 billion between 2010 and 2020. Drug prices are part of the concern. 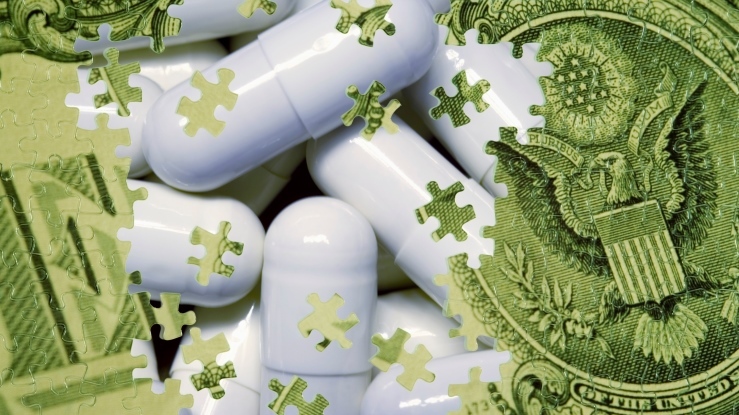 Global spending on oncology medication is projected to rise 6 percent to 8 percent a year through 2018 to as much as $147 billion, the IMS Institute for Healthcare Informatics said in a report this month. That compares with a 6.5 percent rate over the past five years. The newest therapies in the market, which cost $100,000 to $150,000 a year before discounts, are being used in more and more types of cancer and tested in combination with one another. The soaring costs are leading to changes at hospitals such as the Cleveland Clinic, which is adding staff specifically to help patients navigate their insurance policies and understand what their out-of-pocket expenses are going to look like from the start. A patient could face bills of as much as $50,000 a month, Bell said, depending on the types of drugs used in their treatment and the amount of insurance coverage. Last week, ASCO announced a proposal to have oncology practices paid for better managing patients’ care. They would get a $750 upfront payment for treatment planning, $200 a month during treatment, $50 a month for monitoring during breaks in active treatment, and $100 a month for participation in clinical trials. In return, they’d be responsible for keeping patients from needing urgent hospitalization and for appropriately using services, while maintaining a high standard of care, ASCO said. The proposal is part of a U.S. government-led plan to come up with alternatives to the current system of paying a separate fee for each service a doctor or hospital provides. Tickner, 48, is now in remission after battling a rare form of cancer that attacked her bone marrow, liver and spleen. Her home is in Florida, but the vast majority of her treatment was done in New York City, where she was able to secure housing through the Hope Lodge, an American Cancer Society facility for out-of-state patients. To help manage and fight her bills, Tickner enlisted a service called OnPulse. “You get bills from the cancer center and then you get separate bills for the physicians and then you have a copay every time you go,” she said. Tickner’s bills have mounted in part because of a $6,000 deductible on one insurance plan and also because of high out-of-network charges for doctors on a new insurance plan she was put on during her treatment. The prep work for a bone marrow transplant at one hospital, for example, resulted in a $30,000 bill for Tickner even though another hospital ultimately ended up doing the procedure. Throughout her treatment, it wasn’t unusual to receive a $3,000 bill — after insurance — for lab work or a consultation. Tickner wasn’t even a candidate for some of the newest therapies that are now on the market for melanoma and lung cancer. The drugs harness the body’s own immune system to fight cancer and are proving to be an attractive new option given their success rates in certain patient populations. While the latest drugs are helping patients live longer, they also create a conundrum — more cancer patients needing further courses of treatment to sustain themselves. That’s making it even more difficult for the health system to keep up with higher demand for cancer care. “The unfortunate reality is that many of these drugs represent advances, but so far most of these expensive drugs are not curing cancer,” said Richard Schilsky, chief medical officer of ASCO. Bristol-Myers Squibb Co. and Merck & Co.’s drugs are immune-based therapies priced at about $150,000 a year. Both companies offer patient assistance programs to help patients manage the cost of those drugs. Neither company would disclose how many patients are enrolled in the programs.